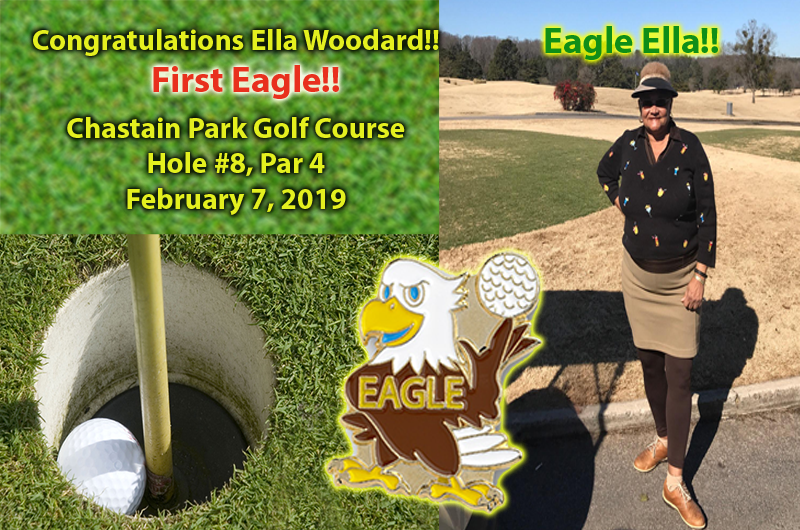 Congratulations to Ella Woodard for making her First Eagle on Hole #8 at Chastain Park Golf Course! Way to go Eagle Ella! Congratulations to Lena Tice for making a Hole in One on Hole #2 at Browns Mill Golf Course! Way to go Lena! 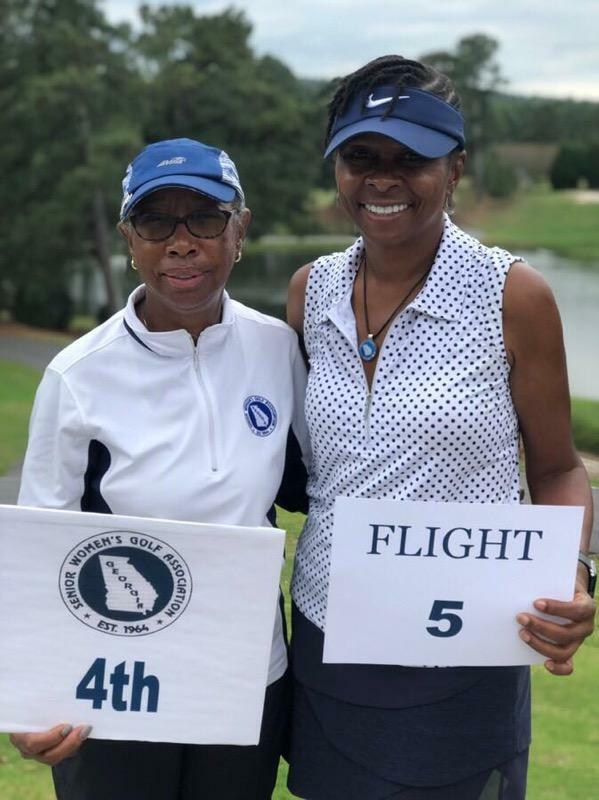 Congratulations to our BMWGA members who won their flights at the Georgia Senior Women's Golf Association (GSWGA) Tournament. Joyce Davison and Felecia Dawson were the low net winners with an overall score of 57! Congratulations to Lena Tice, Connie Casey, and Jewel Braswell for their outstanding performance in the tournament! Another AL/GA Shootout goes down in history! Browns Mill had the lowest net score so we took home the cash prize. Congratulations! Special congratulations to Jacquese Smith for winning the closest to the pin contest! Alas, Driving Force won the individual pairings 5-4 so they kept the trophy. Thank you to all the ladies who made the trip and represented our club! Over 3000 golfers from all 50 states and 30+ countries gathered in Myrtle Beach to compete in this 72 holes of net, stroke play. The competition was played on over 60 of Myrtle Beach's best golf courses. 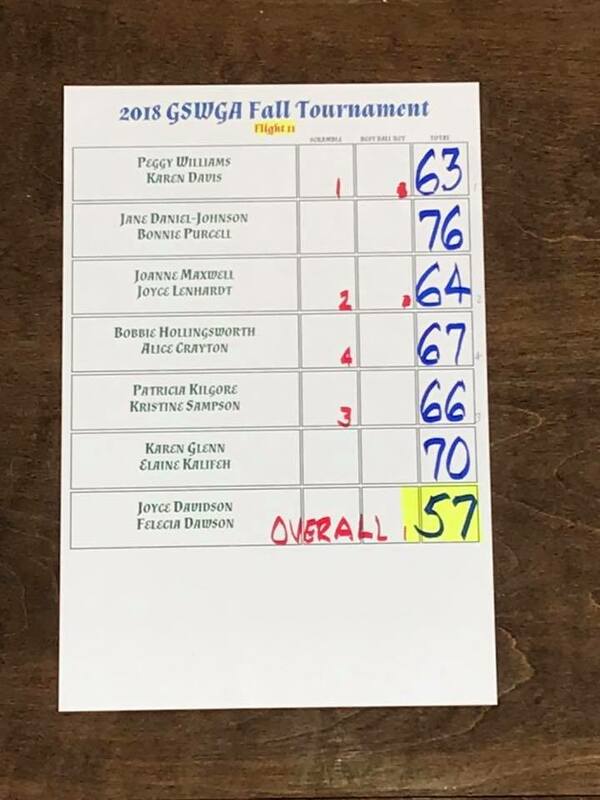 Playing in this tournament were two outstanding and very competitive golfers from Georgia, members of BMWGA and SCWGA and other LGA"s, Jewell Braswell and Lena Tice. Lena and Jewell both had outstanding rounds of golf, Lena coming in second in her flight and Jewell coming in first in her flight. All first place winners were eligible to compete in the championship round. Out of a field of 72, Jewell tied for 30th place. Congratulations to Lena and Jewell, this is without a doubt a great accomplishment. 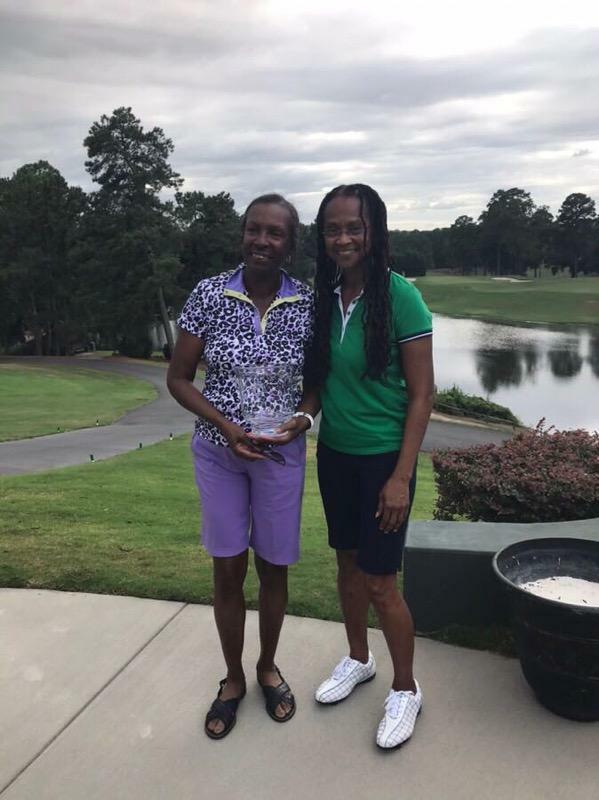 Myrtle Beach, North Carolina, June 9, 2018----More than 275 African American women gathered from around the country on the sunny golf courses and languid lakes of Myrtle Beach, North Carolina. 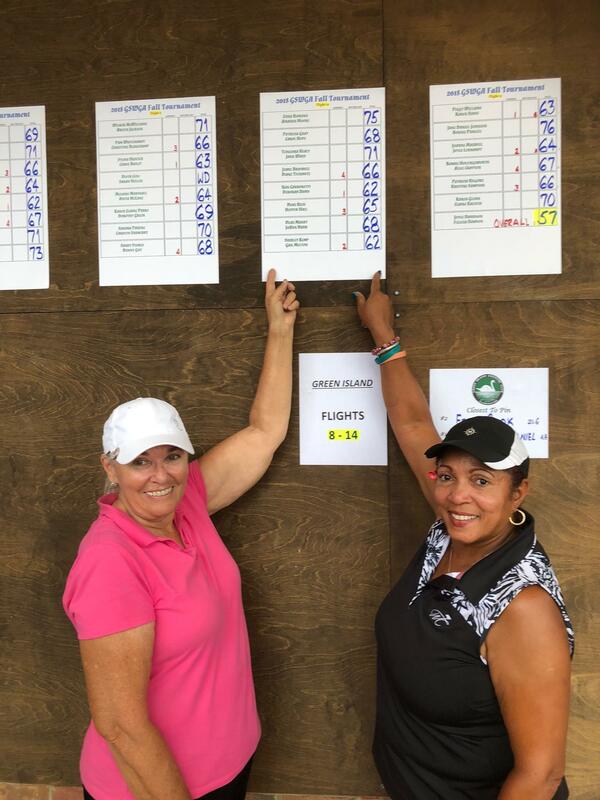 They came together to enjoy connecting with other women and to play in the 20th Browns Mills Women’s Golf Tournament. 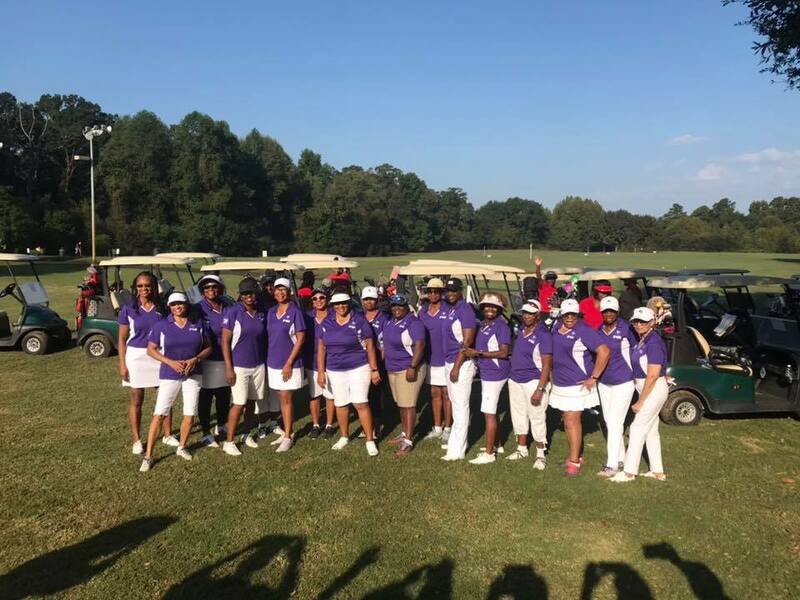 From beginners to competitive players, tournament players are here to provide a women-friendly environment to encourage Black women to become more knowledgeable about the game of golf. 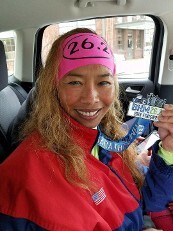 Nikita completed a Marathon race on Sunday 4/15/2018. This is phenomenal accomplishment, 26.2 miles. This was Nikita ‘s first marathon done under very tough conditions - a cold 42 degrees, sustained winds of 20 mph, raining and hilly, but she ran 26.1 miles. Wow! Congratulations Nikita the ladies of BMWGA are proud of you!! You go girl! !